Right now I have three grills or smokers. 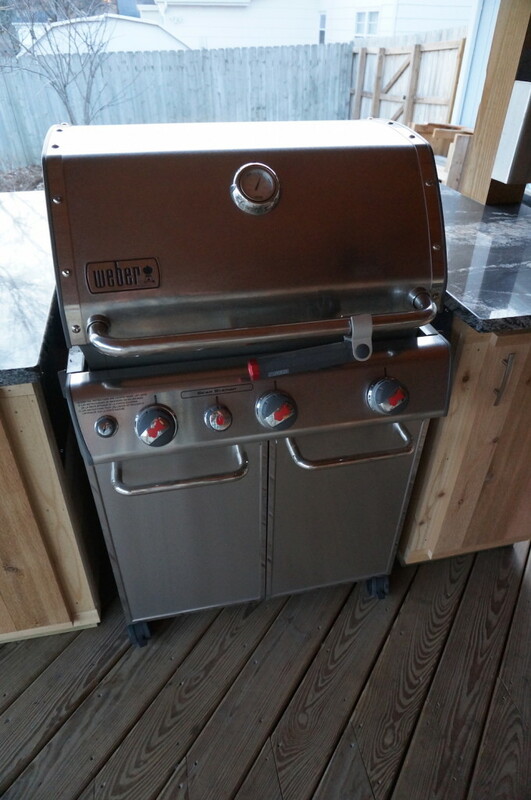 I have gone through some different grills in the past and the three I have now are perfect for backyard cook outs. 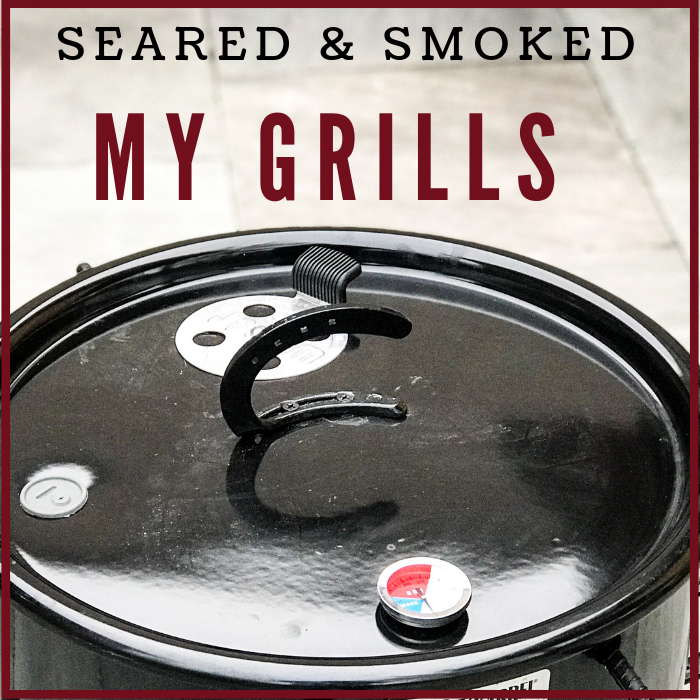 I dream of adding a larger smoker to the mix so I can easily throw on 10 racks of ribs for a big group of friends, but I can do about anything else using one or two of these fine grilling machines. 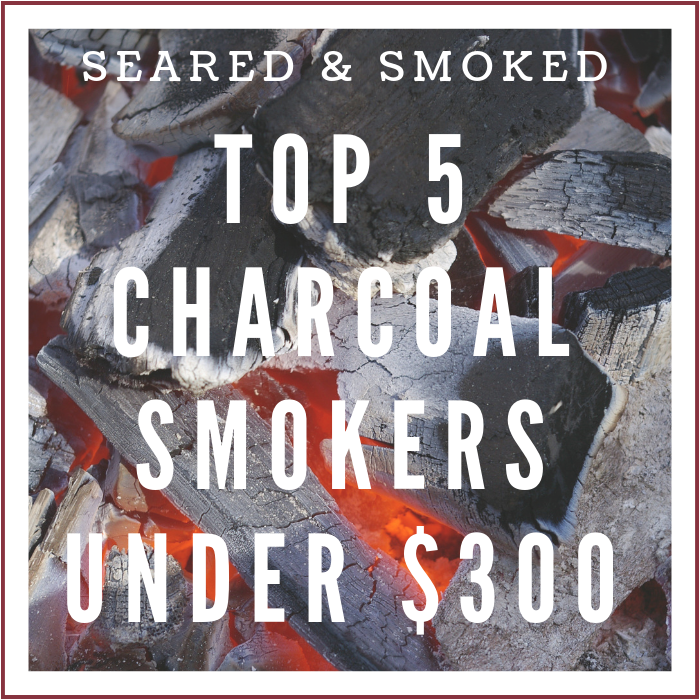 If you are looking to buy a grill or smoker, I highly recommend all of these. 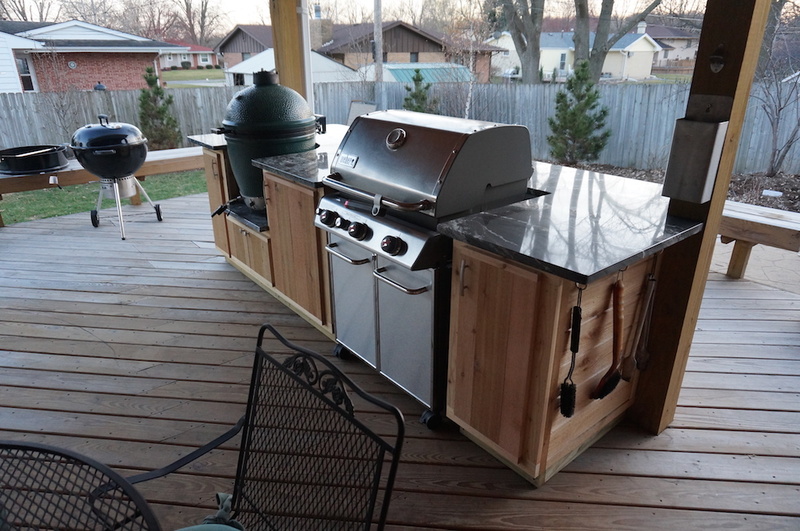 If you have the time and skills, you can even build yourself an outdoor kitchen area, integrating a few grills. This is my current setup…. 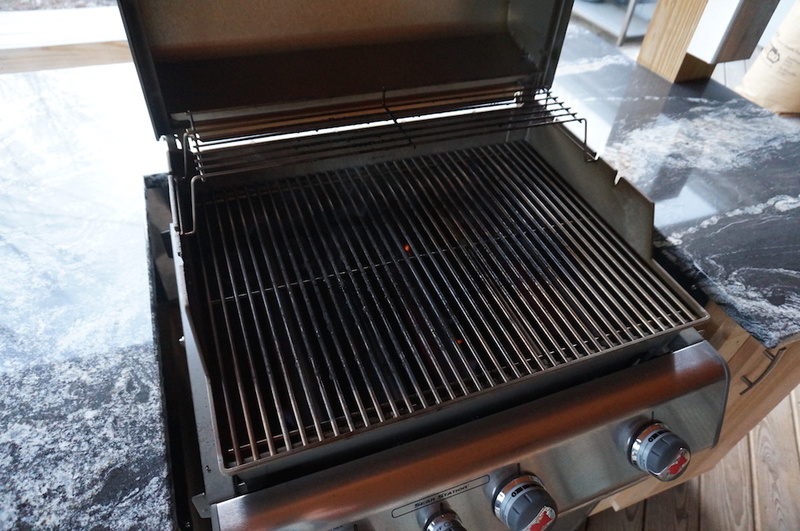 If you are going to buy one grill and you have limited funds, this is the one you want. There is nothing out there that compares to the quality, performance, and versatility of this fine grill. 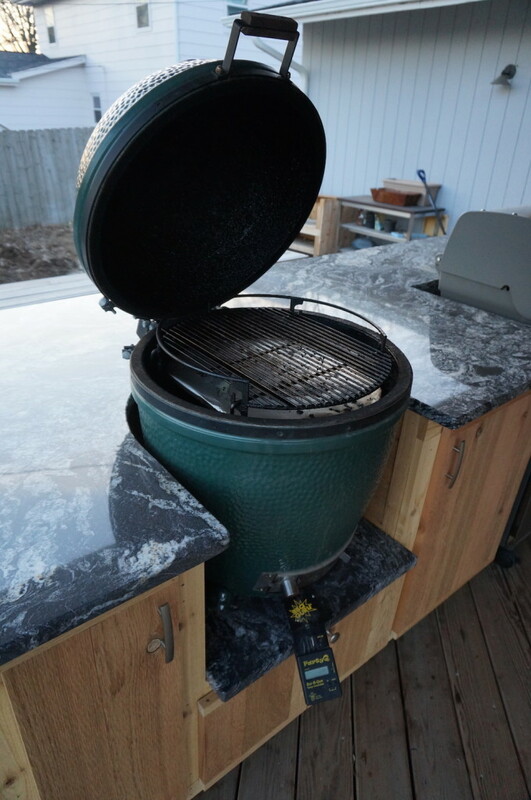 With a little practice you can sear steaks at high temperatures, roast chickens, and slow smoke ribs all on this setup. It also has a lot of accessories available. 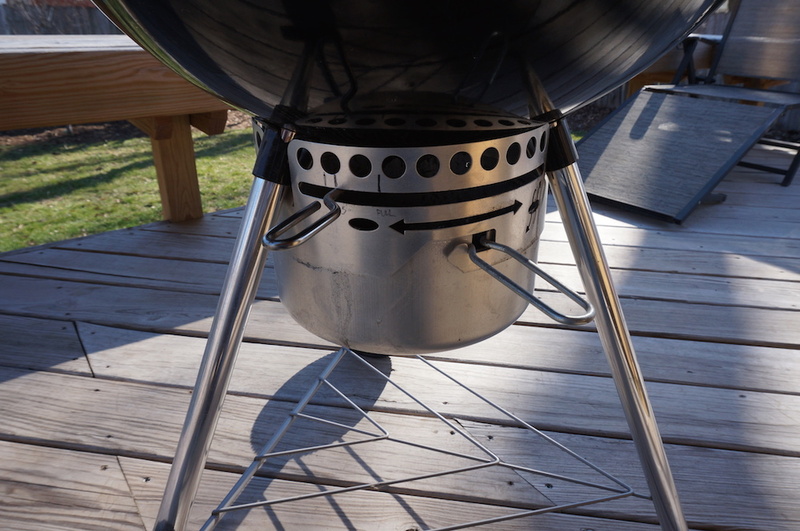 My favorite is the rotisserie add-on that gives you the ability to cook meat while it self-bastes. 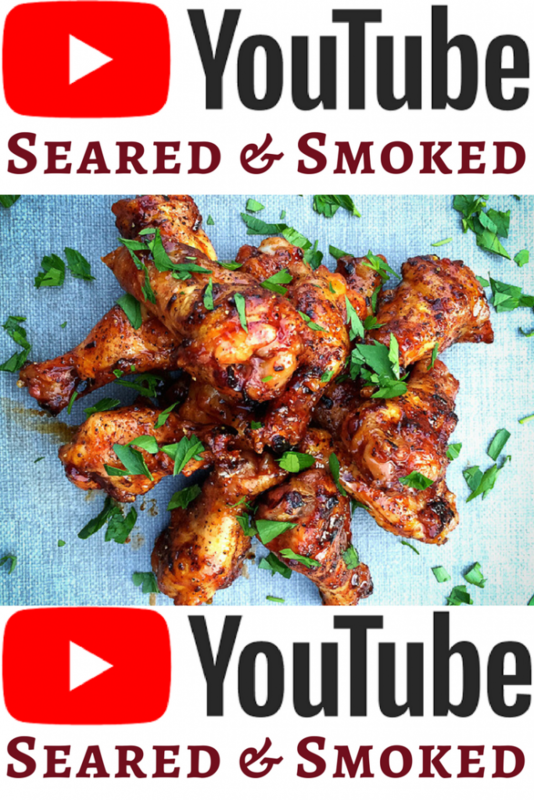 Self basting = deliciousness. You want to try this. 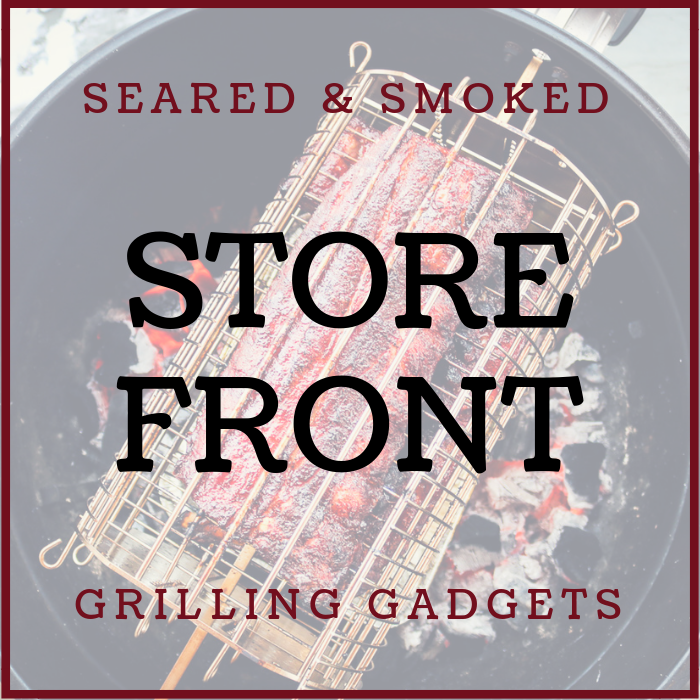 There are a lot of quality gas grills out there. 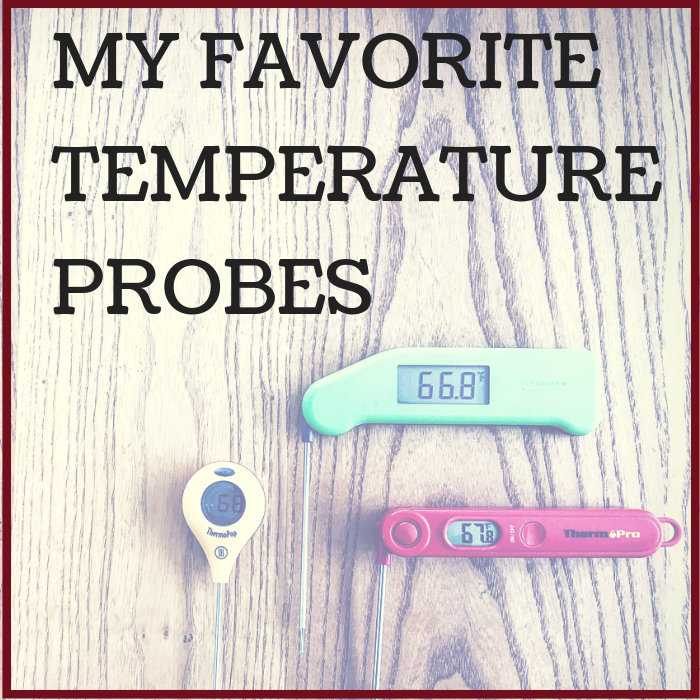 I still choose Weber because I find their grills produce even heat and temperature is easily controlled. 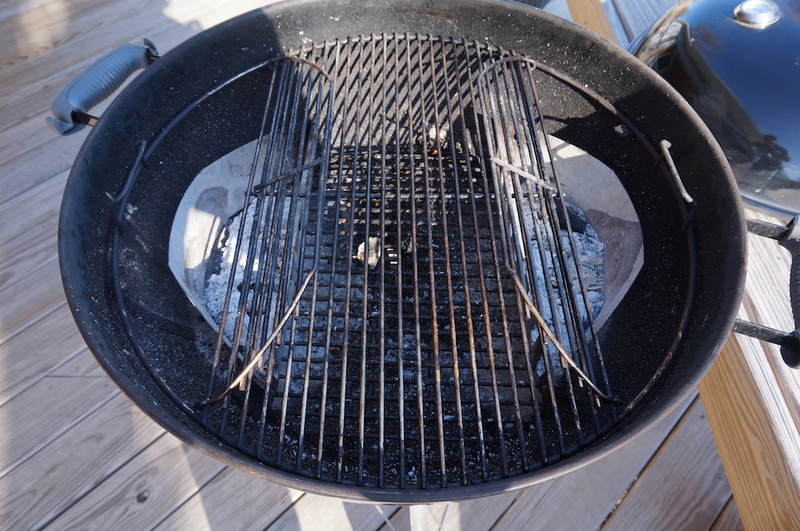 In the past I have found cheap grills burn about anything you put on them, whether on low, medium, or high. 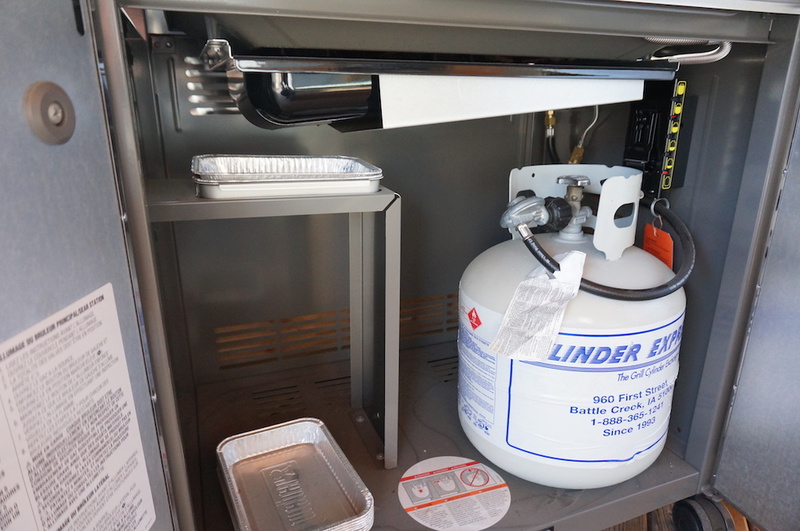 I like the Genesis series because they have adequate cooking space for large groups and they offer some of the premium features I value, such as stainless steel throughout and an extra burner for searing steaks. I would shoot for stainless steel exteriors, as the color enameled grills are tough to clean. My last one was black, and it never looked clean no matter how hard a scrubbed. Go with stainless if you can. 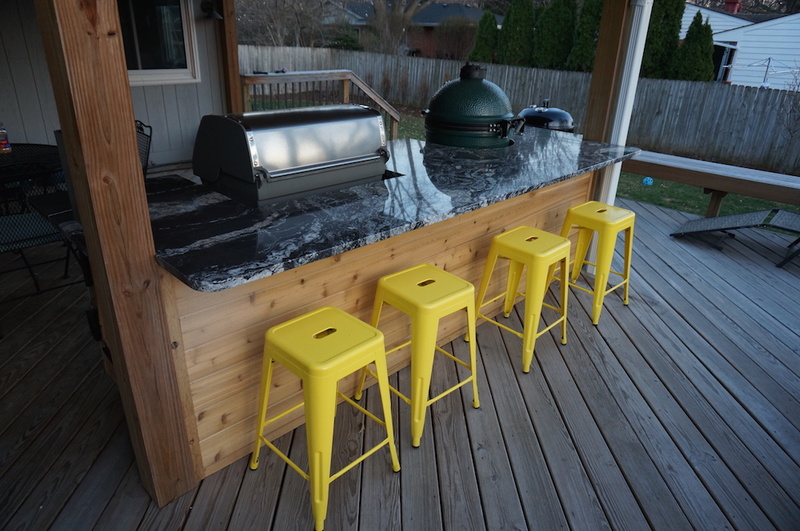 I removed the ‘wings’ of the grill, so I could slide it into my DIY Outdoor Kitchen setup. 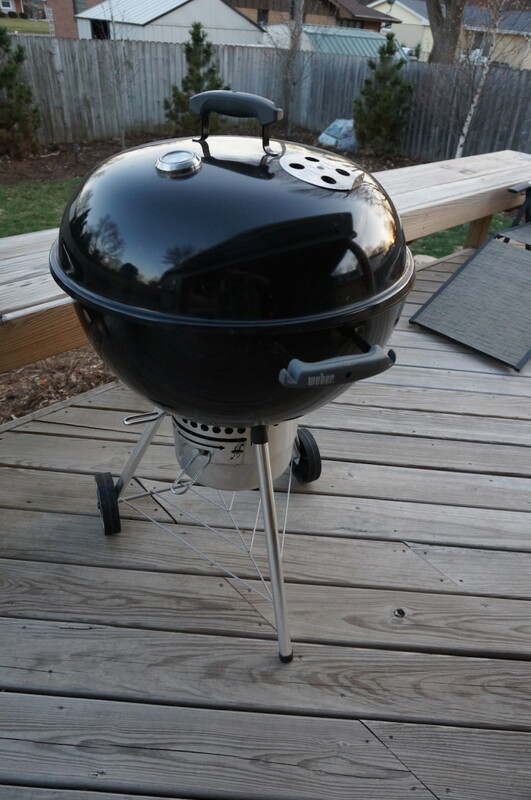 For under $1000, this is a fantastic grill that will last a long time. All sorts of accessories to try out for this grill as well. 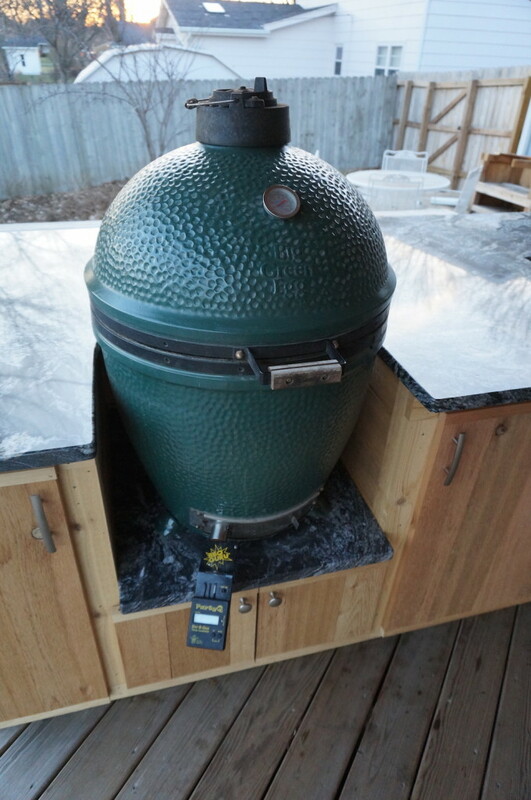 You can do about anything on a big green egg with the right accessories. I primarily use this as a smoker on a regular basis. It is how I have it setup most of the time, so it’s always ready to roll for a long weekend smoking session. 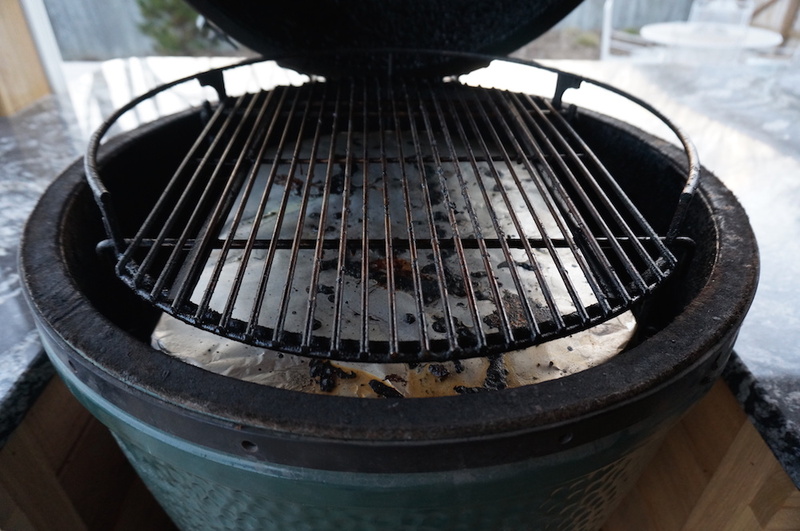 The best thing about the Big Green Egg is the temperature control and the ability to perform long smoking sessions with a small amount of charcoal. 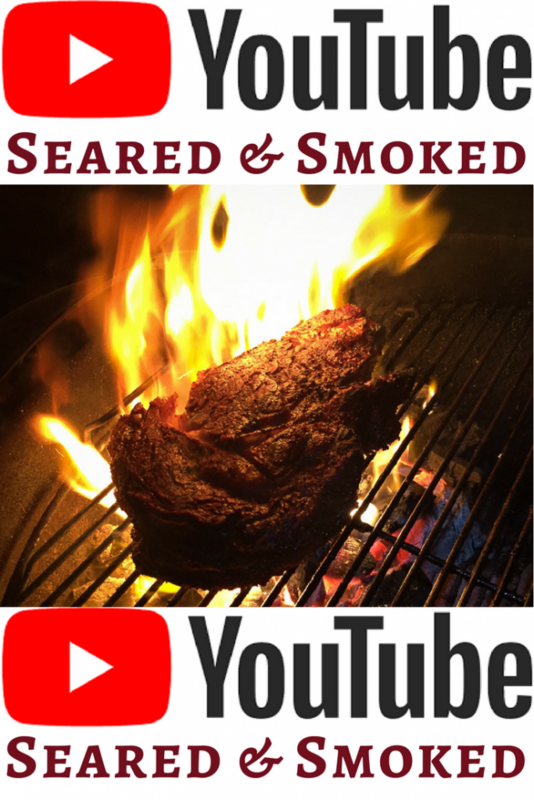 Because it retains heat so well, it does not use a lot of airflow during the smoking, so meat stays more moist. I never use a water pan or anything for moisture… this thing just works.